Feel the fish blasting Shockwave when you put on this versatile swim bait. 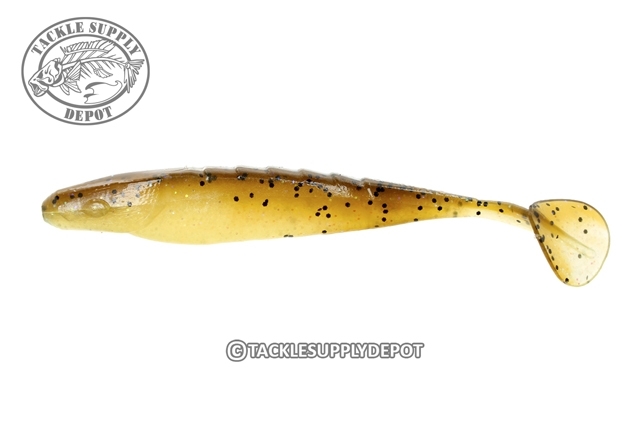 The bait has a medium tail swing and the thin tail gets kicking with just the slightest movement in the water. The split belly allows for Texas rigging but has plenty of body to thread on a jig or jig head. Use the Shockwave on a single jig head, on all of your umbrella rig heads, on the back of a chatterbait, on the back of a swim jig, belly weighted or on a Carolina rig.